Jerome Brewster, AAC Guns Owner. Nobody could identify that unique-looking gun, not in-store customers, not friends. Even research was unable to uncover what it was or who had manufactured it. That’s when Jerome Brewster of AAC Guns in Mooresville, Indiana, decided it was time to turn to GunBroker.com. Brewster, who has used GunBroker.com to buy and sell guns since 2002, had success in the past with online customers identifying guns for him. He thought it was worth a try putting the unusual rifle on the site. It wasn’t long before several site visitors identified the gun as a very rare antique made in Switzerland. It was a Swiss Vetterly rifle thought to be one of only eight of its kind ever made. Not surprisingly, the auction activity picked up dramatically. The gun that originally listed at one cent on a 14-day auction on GunBroker.com sold for $3,074. A handsome profit indeed, especially considering the price it would have fetched at the store. on GunBroker.com sold for $3,074. price it would have fetched at the store. This sale is one of many that have been crucial to the success of AAC Guns. Brewster figures his online sales on GunBroker.com account for about a third of his business. Selling the Swiss Vetterly is just one example of how AAC Guns has benefited from the world’s largest online auction site for firearms and hunting and shooting accessories. 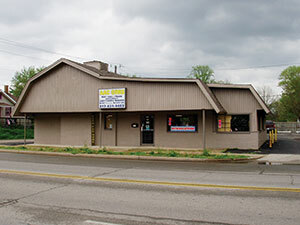 Indiana-based AAC Guns enjoys national sales with GunBroker.com. Brewster said using GunBroker.com is extremely easy even for those who are not highly computer literate. It takes him only a few minutes to post several items by following the easy step-by-step instructions found on the site. 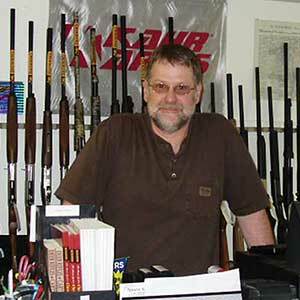 “The nice thing about GunBroker.com is I can list my items and then go about taking care of other business,” Brewster added. Just ask Brewster if he thinks GunBroker.com has a wide reach. “I don’t think there is a state in the country I haven’t shipped product to since I’ve been using the site,” he said. That national reach, along with 24/7 access and ease of use, has made GunBroker.com a moneymaker for AAC Guns and a key to business success.